Useful properties of nuts cannot be underestimated. Raw organic walnuts contain antioxidants, which are essential for good state of your hair and skin; they prevent aging and wrinkles’ formation. Organic raw walnuts fight bad LDL cholesterol, the one that builds up in your arteries and can eventually cause a stroke if its levels are not taken under control. Nuts are the best imaginable source of Omega-3. Just a little serving of 6 or 7 organic raw peeled walnuts provides 2.5 grams of Omega-3, which is more than any other existing food source can provide. The daily dose of Omega-3 need by our body is from 1.1 to 1.6 grams, which is why a single serving of organic raw walnuts completely covers it. It has been proven that each gram of Omega-3 you consume a day reduces the risk of heart disease by 10%. Nuts contain ingredients that can efficiently reduce inflammation in various organs of your body, which is the main cause of multiple chronic diseases. Eating raw organic walnuts contributes to the growth of beneficial bacteria in your intestinal tract. Healthy flora in your intestine can prevent a wide range of illnesses. Apart from that, consuming nuts can help you decrease your weight. Despite the fact that nuts are calorie-dense, they considerably reduce appetite. A serving of organic raw walnuts can prevent you from wanting unhealthy calorie-packed foods, such as cake or French fries. Nuts-Shop.com offers fresh and organic raw peeled walnuts of the premium quality. We ship organic raw walnuts directly from the manufacturer and guarantee their impeccable quality. We offer the most affordable prices on the market, as well as fast shipping! Dried vegetables, just like the fresh ones offer irreplaceable nutritional value. Despite the fact that some people believe that dried vegetables preserve less nutrients, it is not true, as cool drying process allows vegetables to retain almost all the nutrients. The initially used process of drying vegetables and fruits was harsh on them, leaving them devoid of any value; however, the new technologies allow drying them in very cool temperatures, guaranteeing that they preserve their nutritional worth. Dried vegetables are irreplaceable, when you are planning a trip and still want to eat healthy. They take up almost no space and do not require special container. The same goes for keeping dried vegetables at home – they will take very little space in your cupboard, but will provide your dishes with rich flavor and nutritional value. Nuts-Shop.com offers great variety of top quality dried vegetables, including dry tomatoes, dry red beet, dry pickled cucumbers. All of the dried vegetables that we offer are organic and grown on a farm without any industrial pesticides. We guarantee impeccable quality of our products and the lowest prices on the market. With us, you will get the best price and the best quality of dry red beet, dry pickled cucumbers, dry tomatoes. Dried fruits are treasure troves of nutrients that are beneficial for our health. They preserve all the vitamins and minerals of fresh fruits and store them in compact size. The health benefits of dried fruits cannot be underestimated, but most importantly, dried fruits are a perfect way of losing additional weight. For instance, dried prunes and dried cherries greatly improve metabolism and work of your digestive tract, which in its turn contributes to quicker burning of calories. Apart from that, dried fruits satiate hunger much faster than fast food and reduce the desire to gorge on junk food. Organic dried fruits, such as dried apples, dried cherries or dried prunes can be taken as a healthy snack anywhere you go. They take up very little space in your purse or backpack, but provide much needed fibers and vitamins to get you through the day without feeling hungry all the time. They are also perfect choice to have some sweet food on a hike without having chocolate or other unhealthy sweets melt and spoil your things. 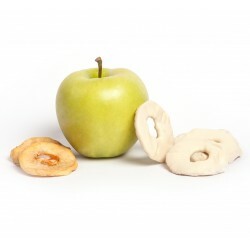 Nuts-Shop.com offers multitude of qualitative organic dried fruits, such as dried prunes, dried apples, dried cherries. We guarantee impeccable quality of our products and provide fast delivery. Our prices are the lowest on the market! Don’t hesitate to contact us – we will be happy to help you! Chocomix is a healthy snack alternative to junk food. 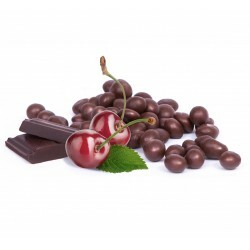 It consists of dried fruits in chocolate, such as apples, prunes, cherries and many other. Chocomix can also be manufactured with white chocolate. Just like fresh fruits, dried fruits in chocolate contain great amount of vitamins and minerals, which are essential for proper working of our digestive system. Apart from being a healthy snack, Chocomix is truly tasty and will a great healthy dessert for all those who love chocolate, but don’t want to miss out on healthy food. 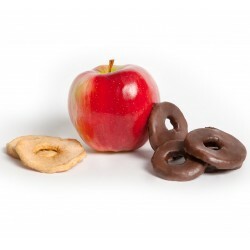 Dried fruits in chocolate will be a perfect lunch not only for adults, who want to have a quick bite at work, but also for children. It’s completely organic, healthy and sweet. However, the most important part is that fruits in chocolate are manufactured from natural ingredients and contain no GMO ingredients. 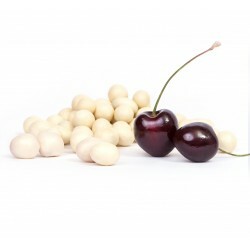 Nuts-Shop.com offers rich selection of tasty fruits in chocolate, such as apples in chocolate, apple rings in white chocolate, cherry in chocolate, cherry in white chocolate, prunes in chocolate and many more! Our prices are the most affordable on the market and shipping is fast. Don’t hesitate to contact us if you have any questions! Moldova is a country with a high agriculture potential. Rich black earth soil and climatic conditions are very favorable for growing a large diversity of crops. Walnut trees are native to Moldova and they grow naturally in all parts of the country. Walnuts orchards are placed in ecologically clean regions that provide full sun and well-drained soil. They are grown without using any chemical fertilizers, pesticides or other non-organic chemical substances. Walnut we offer is an organic product grown in ecologically clean areas.